Recently, the consumption of a considerable amount of energy by data centers has become a serious problem, and there are many researches aiming at the reduction of this energy consumption. However, previous researches intend to reduce only the energy consumed inside data centers. To the best of our knowledge, there are few researches on load distributuion that focus on the network energy consumption arising from the communication across data centers. 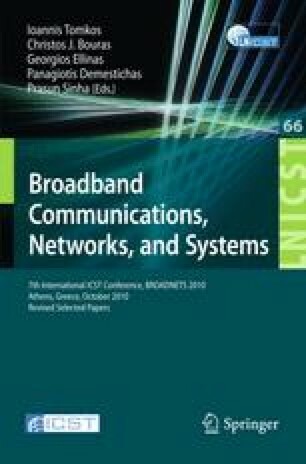 In this study, we consider the energy consumption of the network as well as that of the data centers in the request distribution across geographically distributed data centers. By using various conditions, we calculate the overall energy consumption of two request distribution policies—one respects the network energy consumption, and the other does not. By comparing these two policies, we examine the condition under which the network energy consumption is worth considering.